Mitosis Microsymposium with the Bergstralh Lab! We had a great time traveling to Rochester (University of Rochester) where we attended a micro symposium with the Bergstralh lab. It was great hearing about everyone's science, eating delicious donuts from Glazed and Confused, and Ramen at Butapub! 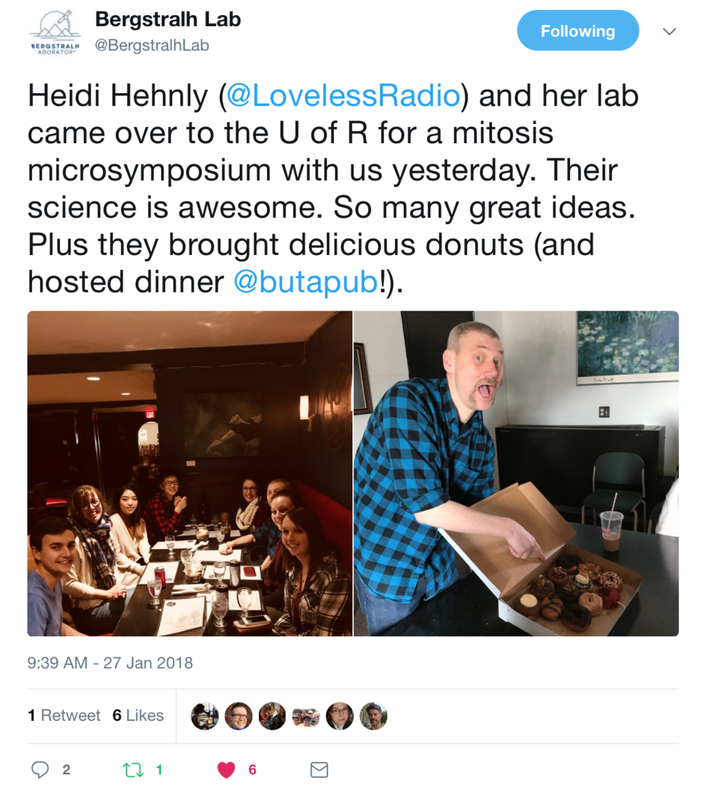 A sweet post from the Bergstralh Lab and also evidence of the delicious donuts!